Answer a few questions about your business, your processor, and the POS application you are planning to use and we will develop the hardware bundle scaled to your exact needs saving you money over buying each component separately. If you don’t know what application suits your business we can advise on that as well. We have selected the bundles from proven POS system manufacturers with the focus on reliability. By purchasing the hardware as a bundle from one source you have the assurance that the components are designed to work together and we make sure they will support the application you choose. Should issues arise at a later date, you have one point of contact and accountability. JR's offers a full range of Deployment services from warehousing equipment inventory to providing Next Day Replacement service for merchants who are in need equipment repaired. Our cut-off for guaranteed shipment is 4:30 PM EST. All shipments and tracking information are provided through UPS exclusively and customers can track their own shipments using our web site. Deployment requests are received either via e-mail or through the Customer Service Fax line. These orders are then entered into the system as a Sales Order; the request is forwarded to Deployment to load the equipment application and the merchant specific parameters. Once this information is loaded and the equipment is tested, the request is either taken to Encryption, if required or to shipping where the serial numbers are scanned into the Sales Order Module and the equipment is shipped per the customer's request. All deployments include equipment overlays, User Guides and Merchant Welcome Kits as required. Any customer having a problem with equipment received would call JR's Customer Service Department for trouble shooting or replacement if required. If a replacement is required, the Customer Service Representative would issue an RMA and a request for a call tag at the time of shipment. JR's POS Depot follows all Visa USA Encryption and Support Organization (ESO) standards. 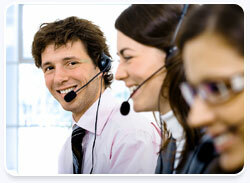 We are audited annually by an outside Auditing firm certified by Visa. TG3 certification is readily available as requested. JR's is a fully authorized repair facility for all current POS equipment. We are unique as every repair undergoes a full refurbishment process including new cases, new lens, new keys or key pads, new batteries and upgrades to RAM and also to certain capacitors and resistors. The equipment is burned in and tested thoroughly before being returned to our customers. Our turn-a-round time is usually 5-7 business days depending on the availability of parts and the severity of the problem diagnosed. We staff 15 -20 fully trained technicians depending on work loads and pride our selves with a State of the Art shop environment. We start the process by scanning all equipment by serial number and by customer into our Repair Database. This Database is a separate and unique database from the one that we use to manage our JR's own equipment. This way no customer owned equipment is ever co-mingled with equipment owned by JR's. We have reporting modules that help us track the progress of each repair. This is a sample of what we generally receive……. This equipment is then routed through our repair shop where we disassemble the unit, access the problem as well as observe the board for spillage and power surges, repair and test the electronics as required and then to the assembly area where new casings and key pads are added. The next process is the burn-in area where we burn in the repairs for 24-48 hours after which the equipment is run through a battery of tests to insure that the equipment is performing as required. Once tested, the equipment is routed to the packing area where the equipment is inspected one more time before we replace lenses, feet and add warranty labels. Once this process is completed the equipment is packaged with the necessary cables and power supplies for return shipment. This is a sample of what the equipment would look like when we have completed the repair and remanufacturing process…….. The equipment is then scanned out of the Repair Database and shipped back to the customer using the freight method requested. All Repairs have a 6 month warranty guarantee by JR's POS Depot from date of return shipment to the customer.